Dongfeng Race Team, the joint leaders of the Volvo Ocean Race (Charles Caudrelier/FRA) who broke their mast a day ago, eased their stricken boat to dry land and safety on Tuesday. 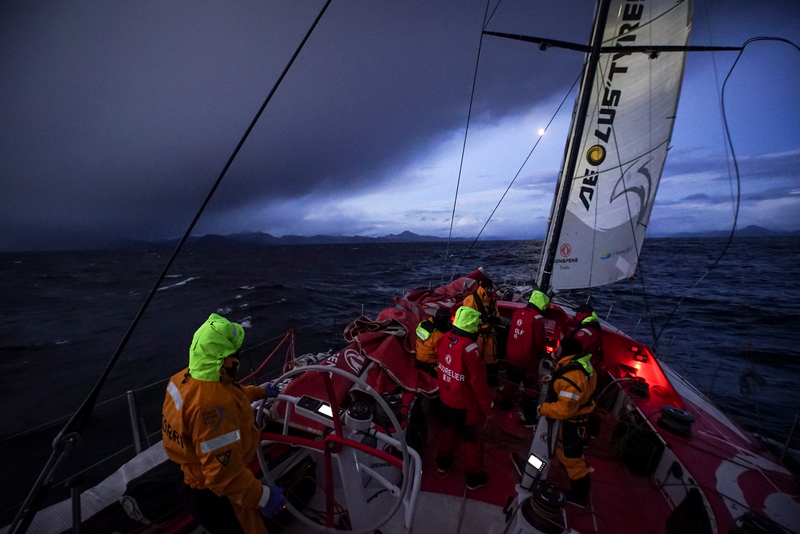 The breakage could hardly have happened at a worse place in the race for the Chinese team, some 250 nautical miles away from Cape Horn in the midst of the treacherous Southern Ocean and in high winds on Leg 5. However, as Caudrelier pointed out, at least they were relatively near the South American coastline. The damage has robbed the 65-foot (20 metres) boat of much of its manoeuvrability and Kevin Escoffier (FRA) was forced to cut off one of the sails, the fractional code zero or ‘FRO’, to avoid it doing more damage to the 100-foot high (30 metres) mast. He also cut away the top part of the mast. He must now decide whether to try to carry out repairs with possibly a new mast in Ushuaia, Argentina, which they reached around 1115 GMT on Tuesday, and attempt to re-join the leg following their suspension from racing in the entrance to the Beagle Channel. Alternatively, they could quit the 6,770-nautical mile (nm) stage and then transport the boat to the next stopover, Itajaí in Brazil, for a full mast re-fit and checkover in time for the next leg to Newport, Rhode Island, U.S. That leg starts on April 19. 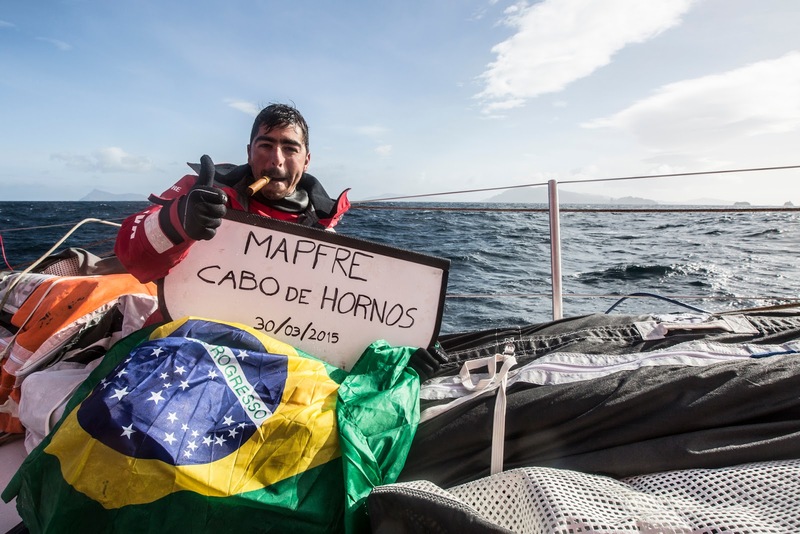 The incident deprived Dongfeng’s crew of Chinese rookies the opportunity to round the fabled Cape Horn landmark for the first time in their sailing careers. 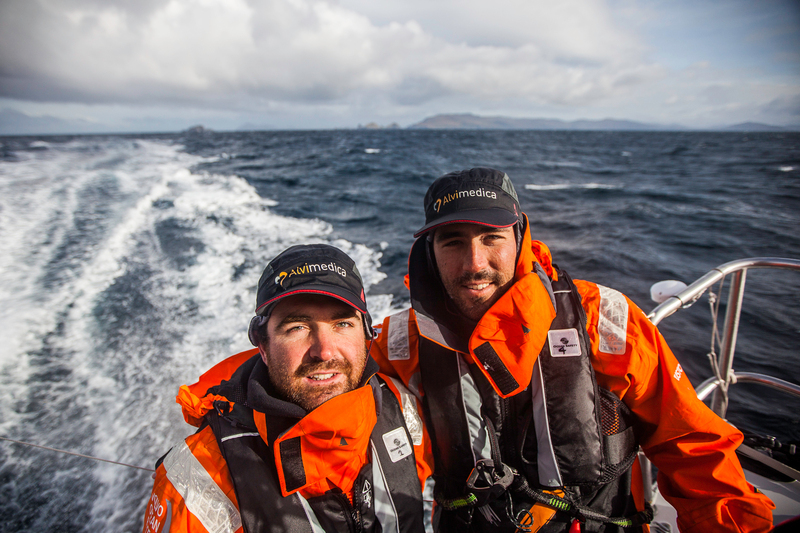 The four leading boats, however, did savour that rite of passage on Monday afternoon and by 0940 GMT on Tuesday, had progressed some 300nm towards Itajaí in the south Atlantic having passed the Falkland Islands. At that stage, Abu Dhabi Ocean Racing, who held the overall lead with Dongfeng prior to the Leg 5 start, protected a narrow 2.8nm advantage over Turkish/American entrants, Team Alvimedica, having overtaken them since rounding the Horn. 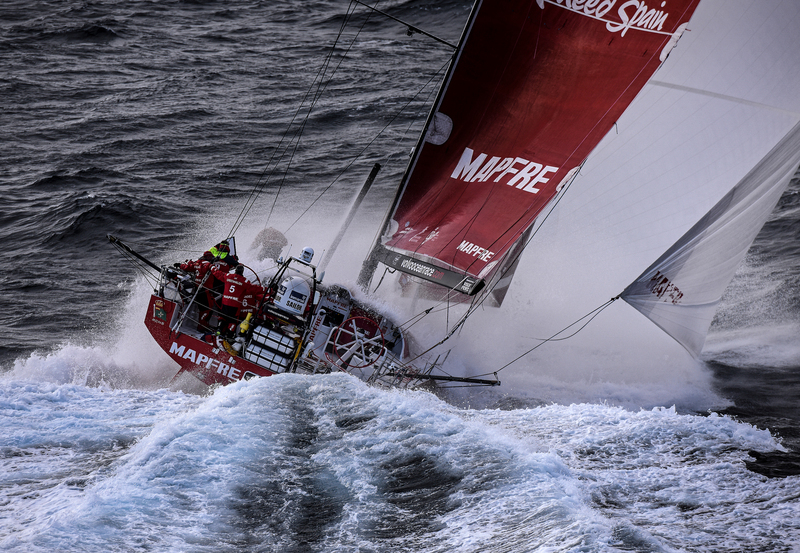 MAPFRE (Iker Martínez/ESP) and Team Brunel (Bouwe Bekking/NED) were 15nm and 22nm further adrift respectively. Meanwhile, the all-women’s crew of Team SCA (Sam Davies/GBR) still had some 300nm to sail before rounding the Horn. They have been beset by ill-luck on the toughest leg in the nine-month race. Last week, their boat crashed on its side during a so-called Chinese gybe, and on Monday night, the crew were forced to sail in pitch black after their electronic system failed. 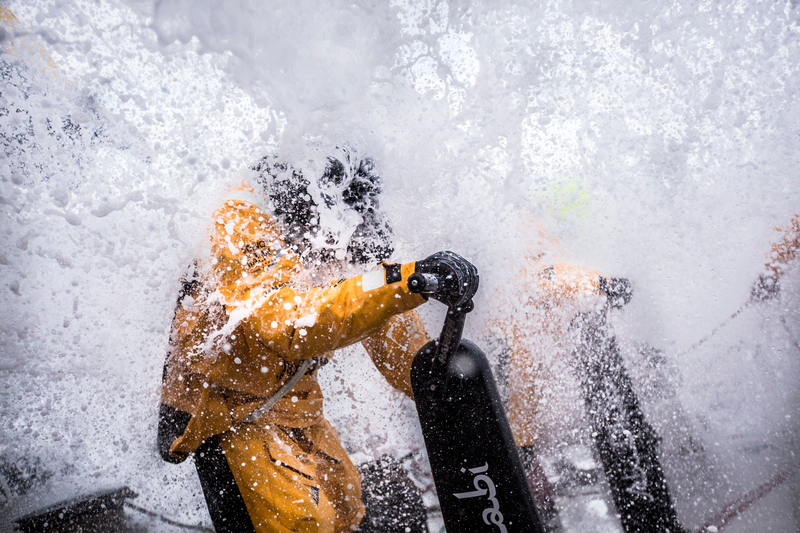 The latter problem has now been fixed, but Sam Davies’ crew are still having to battle on without the use of a key sail, also the ‘FRO’, which was damaged by last week’s crash. The fleet is expected to arrive in Itajaí between April 5 and 6. 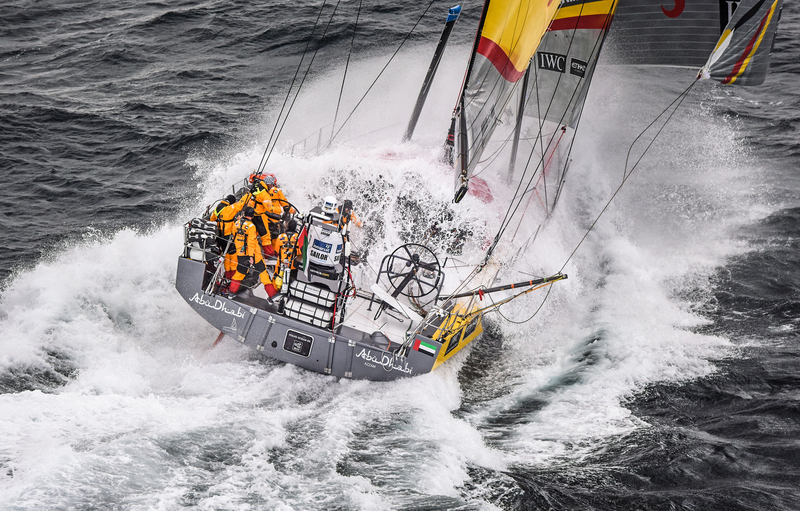 In all, the boats will sail 38,739nm and visit 11 ports and every continent. The race concludes in Gothenburg, Sweden, on June 27.